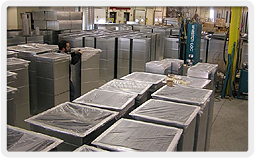 Superior Sheet Metal services the New England area (MA, NH, VT, RI, CT) as a well respected manufacturer of high quality rectangular and spiral duct fittings/air ducts for the heating, ventilating, and air conditioning (HVAC) industry. Superior Sheet Metal is managed and run by knowledgeable, competent people who have been in the trade for years. 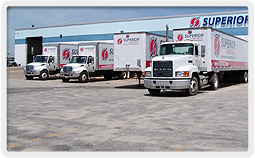 We strive to provide the very best quality products and service to our customers. 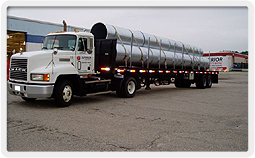 We offer quick turn around and on-time delivery to the job site. Special circumstances sometimes arise, and we make every effort to accommodate these needs. Q. What are your normal hours of operation? A. We are located in Hudson, NH. Maps and directions are available on our web site. A. We have no minimum order. A. COD or open account 30 day terms. Q. How do I apply for an open account? A. Contact us and we will be happy to send a credit application to you. Q. Do you have walk-in service? A. Most orders take some time to process. We recommend calling ahead. Q. Do you sell just duct work? A. Generally, 3 to 5 days, but we will work with you to accommodate your specific needs.